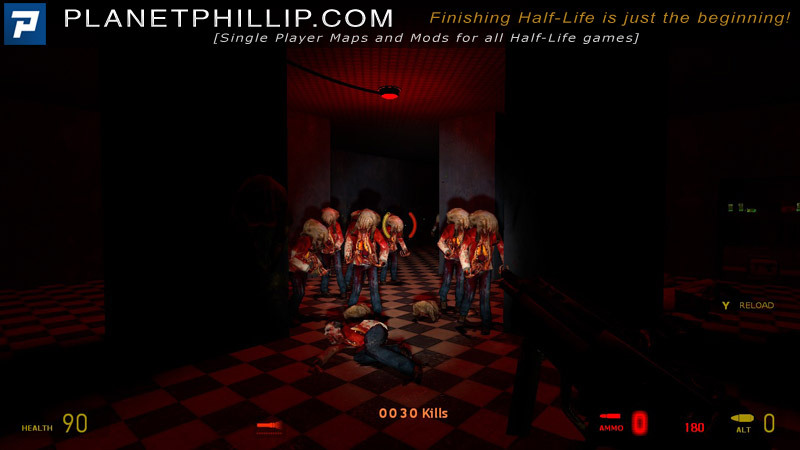 Set in a dark, small area with never-ending zombies and a couple of citizens to help you. 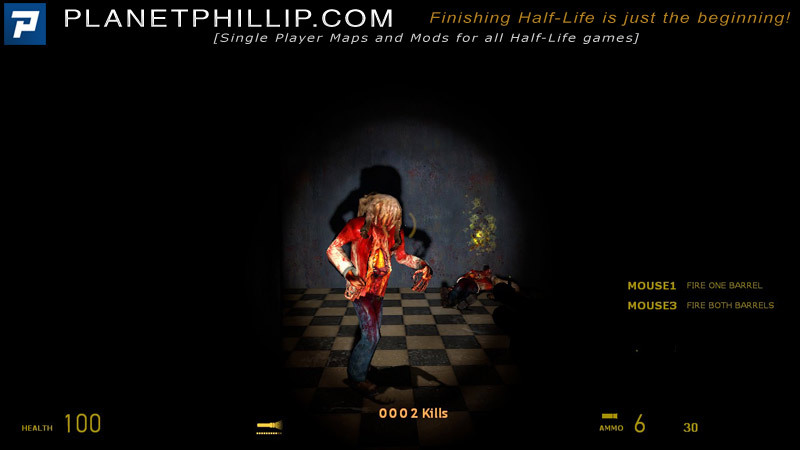 This map can be played in HL2, HL2: Ep1 and HL2:Ep2. I chose to add it to the Ep2 category because it was easier for me. 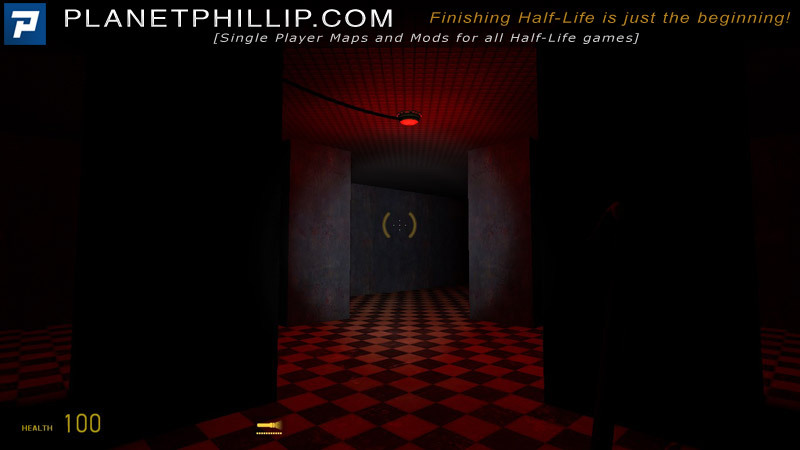 Copy sp_zombie_citadel.bsp into your Half-Life 2: Episode Two Maps folder. Open the console and type map sp_zombie_citadel. It’s hard for me to find any redeeming features of this map. If you like these types of maps you “may” like it, those that don’t, will probably hate it, like I did. The only reason I didn’t give it an “Avoid It” recommendation is because the gameplay is so specialised. The author gives credit to NOMZ for the scoring system. I’ve played 3 or 4 NOMZ maps and enjoyed them not at all. You cannot win and there is no escape. I was going to try and be nice but I cannot. You + small room + ordinance + ever spawning Zombies. This is diabolically bad, I kid you not. I played for about 2 minutes! I have awarded myself an honour, the order of the SPAM (Stupendous Perserverance of Abhorrent Maps). What about the mapping or the imagination or the artistry or the combat or the enjoyment or the game play you ask? What did I think of this map? The problem with this is it took me longer to load it than it took me to get bored of it. The best thing about this is the kill counter. You start with two rebels helping you. That’s it. And he dies veerrry quickly. Which isn’t rare. This is the sort of map an early mapper would make and keep on their hard drive, or maybe on their onedrive or other cloud based storage. I’d never really release this, unless it was for… well I can’t think of any exceptions. There are obvious invisible walls blocking the player from the spawn corridors. Bad, boring and short. But technically infinite.